Memphis Sail and Power Squadron | Come For The Education….Stay for the Friends! The America’s Boating Club – Memphis (aka: Memphis Sail and Power Squadron) is a non-profit organization dedicated to boating education and promoting high standards of seamanship while having fun on the water. We are a unit of District 17 of the United States Power Squadrons (USPS)®. Our Memphis club services Western Tennessee, Eastern Arkansas, and Northern Mississippi. Members include fishermen, paddle boaters, sail and power boaters, including those who had a boat, have a boat, or are just interested in boating. “WE ARE AMERICA’S BOATING CLUB”. The United States Power Squadrons (USPS) Digital Media Library (DML) is now the America’s Boating Channel. It is your online home for safe boating education and boating safety messages in multiple digital media formats. America’s Boating Club is dedicated to the continued education of its members and the public. We offer a core curriculum of boating classed as well as many elective classes. In addition, we now offer 2-4 hour seminars of many boating topics. Check out our Education page to see of list of all classes. Although our primary emphasis is boater education and making you a more confident boater, we are also a social boating organization with a variety of family-friendly activities. 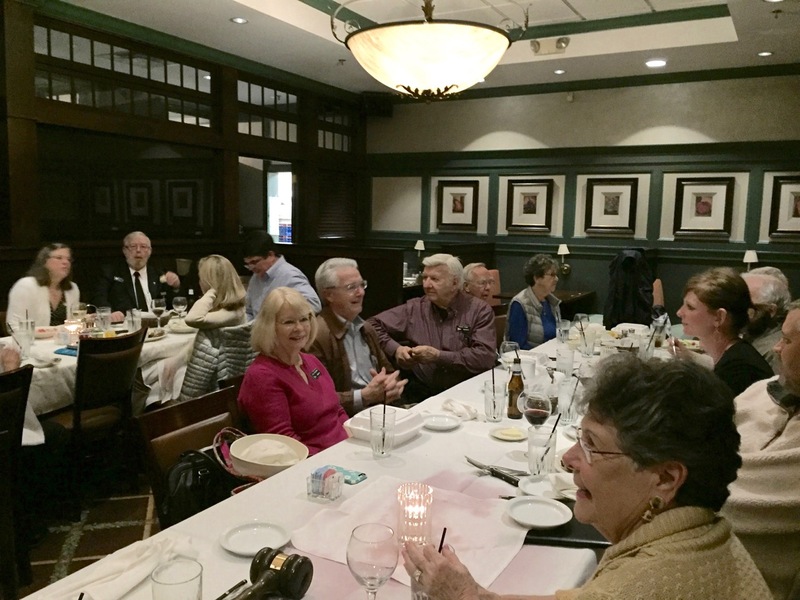 During the winter months we have monthly dinner meetings with a guest speaker. These turn out to be a very social occasion for our members. 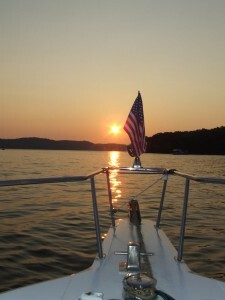 In the summer we have picnics, raft-ups, and maybe a boat trip up or down the Tennessee River. On September 23, 2017 members, guests and friends joined in a boat raft-up in Dry Creek, Pickwick Lake. We had boats rafted up, with visitors stopping by in their own boats. Food, fun and friendship was the order of the day. Visit our Activities page for more information and a calendar of events. We are a unit of District 17 of the United States Power Squadrons (USPS)®. Districts tie a geographical group of Squadrons together (see map) and provide administrative oversight. USPS is the national organization that overviews and provides services to the Districts and Squadrons. Our squadron covers the Memphis TN area including Eastern Arkansas, Northern Mississippi, and Western Tennessee and has over 60 members, divided between power boaters and sailors. If you enjoy having a more active role, our Leadership Structure will have something for you. Our squadron is governed by a group of Officers referred to as “The Bridge”. The Bridge oversees the normal operations of the Squadron and consists of a Commander, Executive Officer, Secretary, Treasurer, Education Officer, Administrative Officer and various other committee members. Additionally we have other leadership roles available such as Port Captain, Fleet Captain, Vessel Safety Check Officer along with various committee positions. There are plenty of opportunities to become involved if you love boating. Visit our Membership page for more information. Regardless of whether you are a new boater or have been boating for years, if you enjoy boating we have something for you!